Teen Essentials Bags are filled with personal & toiletry items and light snacks. These bags are provided to local schools and community organizations that interact with youth. 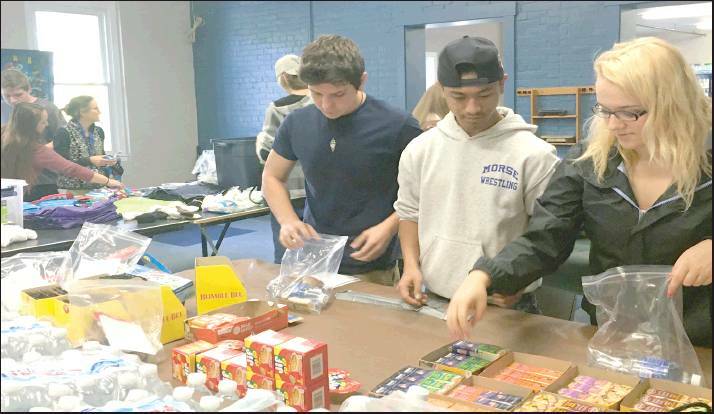 The Bath Youth Meetinghouse & Skatepark provides Teen Essentials Bags to local middle & high schools as well as community organizations that interact with Midcoast youth. Our goal with these bags is to provide assistance with immediate needs and help connect teens with local resources that can help with whatever situation they are facing. We are continually working with local business & community members to make this program possible. If you would like to donate financial or make a donation in-kind, please feel free to contact us by calling (207) 443-8750 or emailing board@bathskatepark.com. Please include a note and let us know what The Park means to you!